As recently as three years ago there was little or no mention of Pandora at the annual country radio broadcasters event in Nashville, CRS. 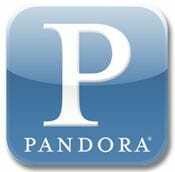 Now a public company, Pandora is very much on radio’s radar. 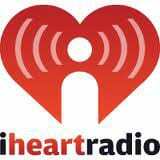 Some would say that Clear Channel’s iHeartRadio online streaming app is a direct response to the streaming giant which saw gross revenues of over $50 million last year. So it should be no surprise that a competitive tug of war is brewing between terrestrial and Internet radio as the two business models spar for success, and more specifically—ad dollars. According to a Wall Street Journal article (12/22) there is “an intensifying dispute between traditional radio broadcasters and online radio service Pandora Media Inc. over how their audiences are measured.” Answers to this question will of course have a direct effect on ad revenues. Arbitron Inc. is responsible for measuring and providing audience estimates for terrestrial radio, but doesn’t currently measure online audiences for Pandora or other services. Advertising revenue is especially important to the Pandora business model since it must pay royalties on every stream/listener that is participating. This means that its profits do not scale as the service acquires more listeners. Therefore ad revenues are a critical component for success. One assumes that with that underlying motive, Pandora employed firm Edison Research to wrangle its online data to create an apples to apples metric comparing online listeners with traditional radio listeners. Realizing what was at stake, traditional radio fired back by demanding Arbitron issue a report discounting the new metrics as not being directly comparable to Arbitron audience data. Earlier in the week Clear Channel subsidiary Katz 360 cut ties with Pandora and said it would cease to sell digital ad time on online services like Pandora.